The new One Word Photo Challenge series is here! The challenge moved from colors to weather! This week’s photo challenge is Rain! We oftentimes spend Thanksgiving vacations in Oregon and Washington where we have relatives. 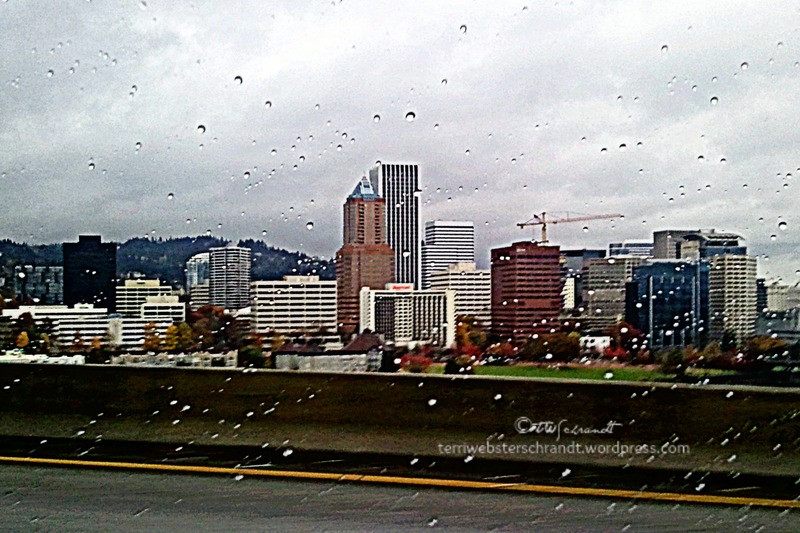 On our way out of Portland driving to Spokane in 2011, I caught this photo of downtown Portland from my car window on a (SURPRISE!) rainy day. Below is the original photo. The edits were done in PicMonkey. By the way, I love Portland. I’ll even take the rain. I have forgotten a little what rain is. Can someone remind me? I love how your edit brings out the details and colors. Great job. Thank you so much for sharing. I am from Oregon originally and I will admit I miss the rain occasionally. I however, do NOT miss the springtime allergies lol. Oh thanks for noticing. I really love it since I don’t want to invest in photoshop. I like to create/use all my own images for posts and not rely on other images and risk a copyright infringement. Plus I love being able to refine an image. I am trying the free 30-day trial right now and it’s got some great features. Give it a whirl! Thanks for the extra info! Yes… I’m also wary about investing in photoshop or some of the other software. It seems so expensive and my free image resizer from 2009 still works! If only we could spread the rain out evenly. We’ve gotplenty over here in the UK! Hilarious question! I send some to you from here! I’ll take some. We have been getting some rain in the nearby Sierras but too little late.